Could this be the perfect way to end this chapter? There's a problem with the Star Trek 4 announcement - and specifically the reveal that Chris Hemsworth's George Kirk Sr will reappear - that fans of the currently JJ Abrams inspired Kelvin Timeline probably won't want to admit. 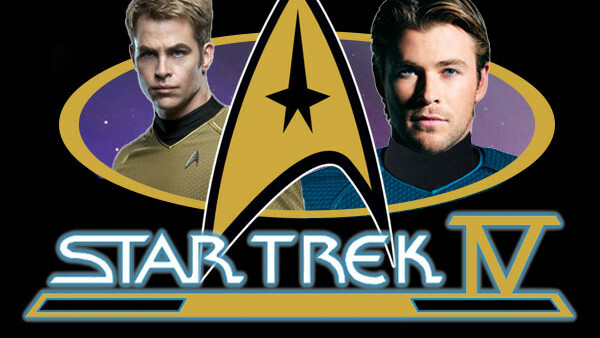 If Hemsworth's character is coming back, the narrative will presumably involve Chris Pine's Kirk attempting to stop his father from being killed, and thus changing the timeline irrefutably to one in which he probably wouldn't become the scoundrel who joined up with Starfleet on a bet. Could that movie actually be the end of this stage of the film franchise altogether? Could Paramount be looking forward to the possibility of spinning movies off their newly announced TV show (which will air on Netflix unless you unwisely chose to be born in America or Canada)? 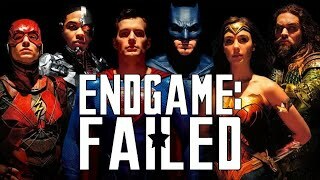 The show-makers MUST be wary that they have the shadow of Kirk hanging over them for as long as he's still on the big screen, and that's probably not as good for business as it could be. A fresh start might be the best thing, even if Beyond and Star Trek 4 end up making the kind of money Paramount have always wanted this franchise to command. It can surely only be a matter of time before the current Star Trek cast move on. The Original Series crew did 6 (and a half) movies, which was probably 2 too many; the Next Generation crew did four, and it will be close to 10 years since the reboot by the time Star Trek 4 comes out. The timeline would fit for them to have a grand ending. However they decide to use Hemsworth's character in the film, it seems likely that either he or his son will be wiped out of existence by the film's events, unless the script actually avoids the assumed time travel jump and the ship somehow ends up travelling into a new dimension altogether. Even then, it's hard to resist the idea that - with the Kirks - neither can live while the other survives. You can almost see the poetic telegraphing already. And while fans of the series, and fans of Kirk as a character will no doubt complain at the idea of a retcon that wipes him out, but in the old timeline - in which George Kirk wasn't killed on the Kelvin - James still became Captain, was still a fiery, passionate, petulant man. It's not like we'd lose Kirk entirely, we'd just lose this iteration. It would actually be pretty inspired by Paramount to reset the timeline and have the end of Star Trek 4 be revealed as the start of the Original Series, if they're looking for a way to tie up this chapter. I'd absolutely be game for that. And then maybe while they wait for their new series to become popular enough, we might get one final The Next Generation film... Yeah, chance would be a fine thing.